There are some aquarists who just prefer keeping small body-sized fish in their aquariums because they like to have just small tanks in their homes. 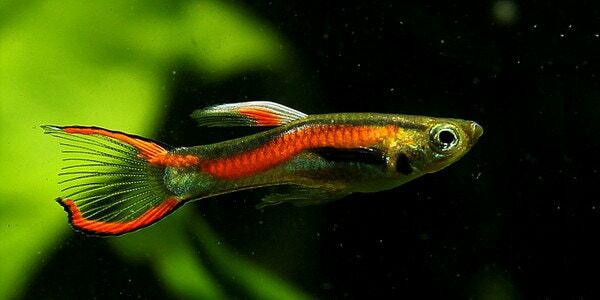 Small fish that will grow to less than two inches and can perfectly fit in aquariums which are as small as ten gallons are classified as Nano Fish. They come in variety and it remains up to the aquarist to choose those he/she prefers to have in the aquarium. Nano fish are not that easy to care for and therefore should not be the fish of choice for the beginner though. If you have a small space so that it cannot be sufficient for a larger tank, then opting for a small sized tank that can easily fit on a desktop is preferable. Even though having a Nano Aquarium will come as a big reprieve for you especially if you don’t have much space, finding the right fish that will fit in there may be a herculean task for you. 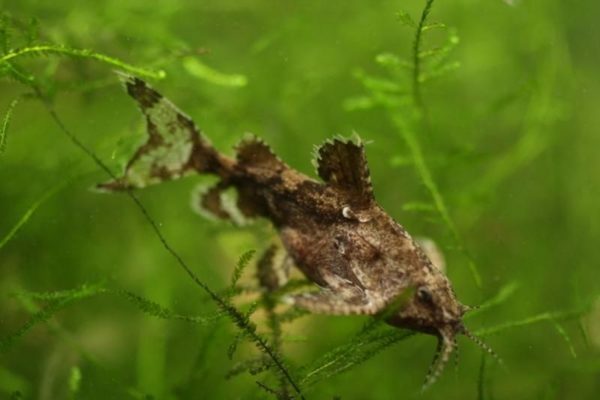 Here in this article we are going to discuss with you some of the best Nano Fish you can possibly collect and introduce to your small-sized aquarium. 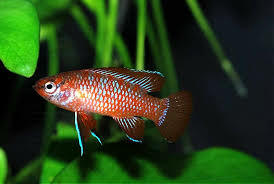 Scarlet Badis is an elegant nano fish that looks somewhat similar to dwarf cichlids but surprisingly they are not related in any way. It is usually very peaceful and will live in a community tank with other fish of same size and temperament. They can be particularly tricky to feed due to their shy and timid nature. This therefore calls for the aquarist to take extra care to ensure that they eat what they are offered to eat. Among some of the foods they will gladly feed on include; live brine shrimp, daphnia, and banana worms. It is best not to feed them foods such as tubifex worms, blood worms as these kinds of foods tend to make them prone to disease. The fish are native to India and will live in waters with a pH of between 6.5 and 7.6. A tank that has a capacity of at least 10 gallons of water per pair of the fish will just do. They are the easiest to manage and care for as far as caring for small fishes is concerned. They will readily adjust to any tank as long as the water conditions therein are conducive and appropriate. Bettas interestingly come in a range of colors, fin types and patterns. They have very small bodies that make a perfect match for nano tanks you will find in the markets out there. Some aquarists are usually particularly attracted to them for the fact that they are a kind of fish that form relationships with their owners. Yes, they will easily interact with you once they get used to seeing you feed them on a regular basis! 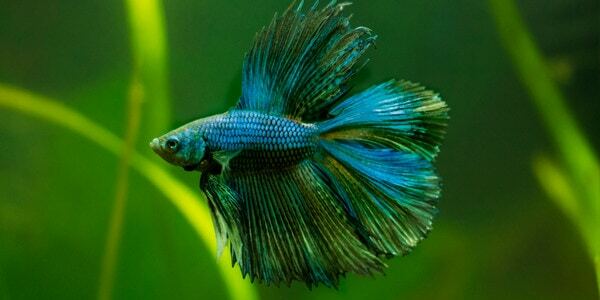 For a single male Betta fish using a tank that is at least 5 gallons is highly advised. The female should be housed in a tank that is at least 10 gallons of water. Read more about betta fish here. These fish as fast becoming a favorite amongst nano tank fish keepers. They can easily be kept by both the experienced and beginning aquarists. The males of this fish species have very bright colors with various patterns. The fish are known to breed very fast and can quickly populate a tank where they are kept. It is usually advisable for aquarists to rear just male fish and only go for females when they want to breed more of the fish. This is due to the fact they breed too fast and can quickly overpopulate the tank! These fish are very interesting to watch especially if they are kept in a transparent tank for they move about in every part of the tank showing off their beautiful colors. Read our guide on Endler. The Asian Stone Catfish is yet another great choice fish for nano tanks thanks to its tiny size which will only be slightly over one inch at maturity. It is a type of Nano fish that will mostly spend much of its time relaxing at the bottom part of the tank. Feeding it is quite easy because it will readily accept a variety of food. You can feed it dried fish pellets, frozen food, live brine shrimp, daphnia, tubifex worms, and blood worms. It is a relatively peaceful fish that will not mind living in the same nano tank with other peaceful fish species in the same tank. You can keep it alone in the tank but it will find excitement when kept in a group of at least five. Provide lots of hiding places for the catfish by placing things like drift wood, almond leaves, and softer substrate. Ensure that the water in the tank is kept clean and well oxygenated for the fish to survive in there. Because the fish is nocturnal, it is best to offer it food when the tanks light have been switched off. Ensure that the pH of the tank water where you will keep the fish is maintained between 5.6 and 7.6. The minimum tank size for keeping a single stone catfish should be at least 5 gallons of water. These tiny Nano Fish originate from the South American region. They will grow to a maximum of just one inch in length at maturity. They are usually peaceful and like schooling therefore they need to be kept in groups of at least four or above in a single tank. 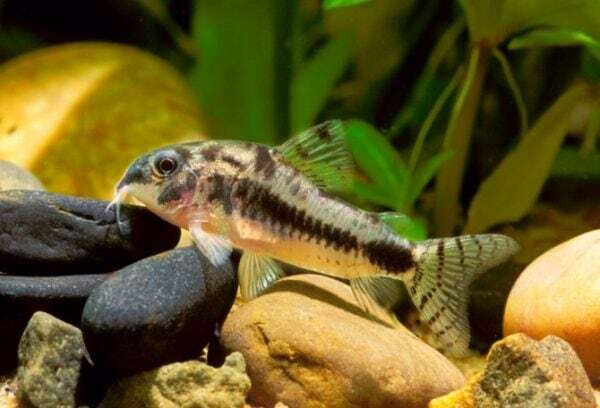 It is interesting to note even different species of corydoras will still school together when kept within one community tank. They prefer to swim in the mid water sections of the tank unlike majority of their counterparts from other species that are known to be bottom dwellers. You can feed live foods such as tubifex and live worms but they can also be fed frozen foods as well. Keep the pH of the tank water to between 6.5 and 7.6 for the fish to live a better life.